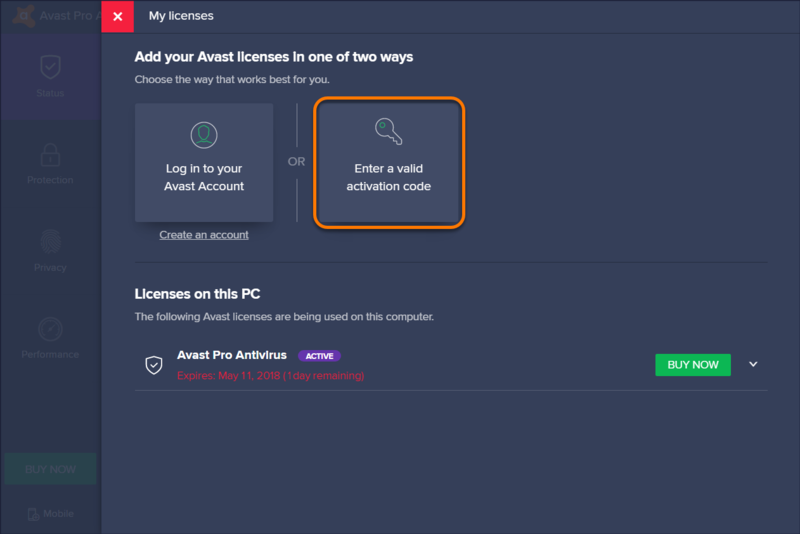 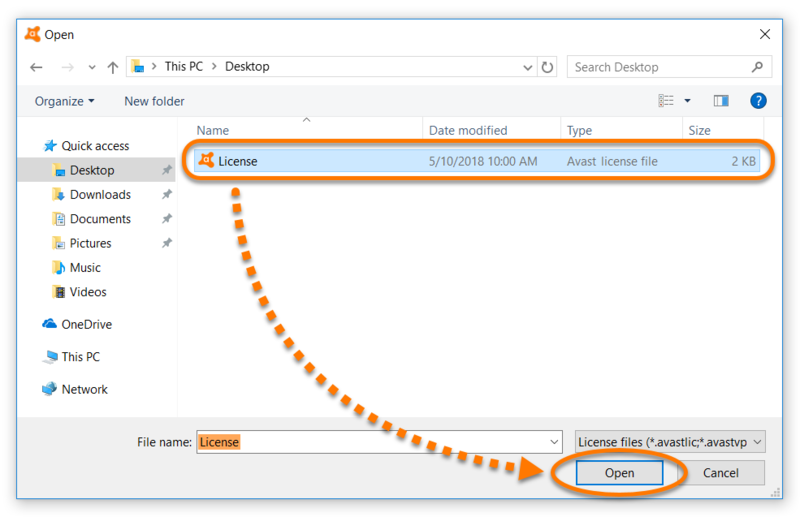 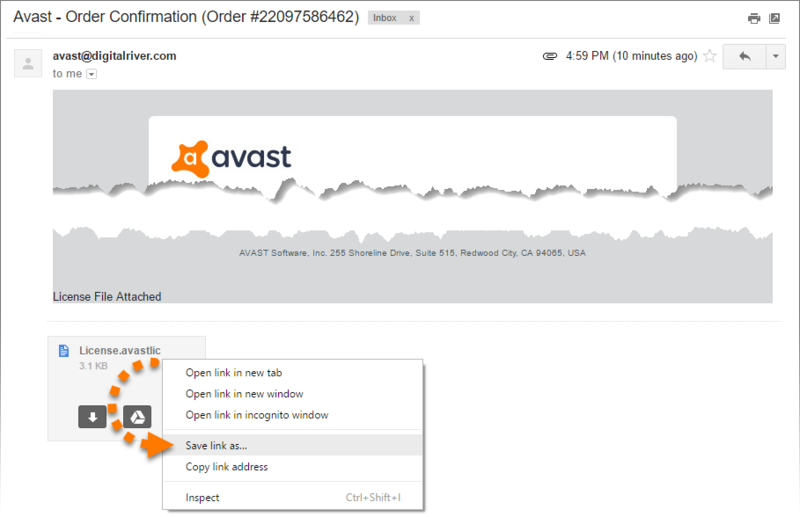 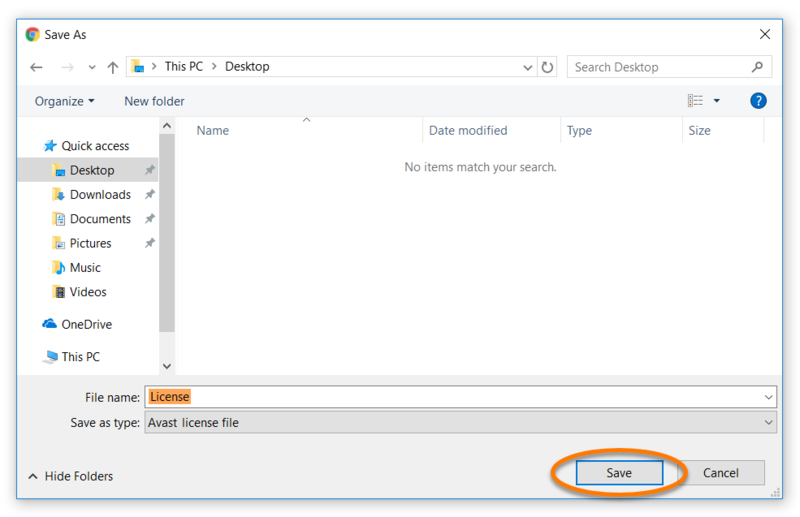 If you purchased Avast Pro Antivirus and received an order confirmation email containing a license file, you need to insert the file to Avast Pro Antivirus to activate the product. 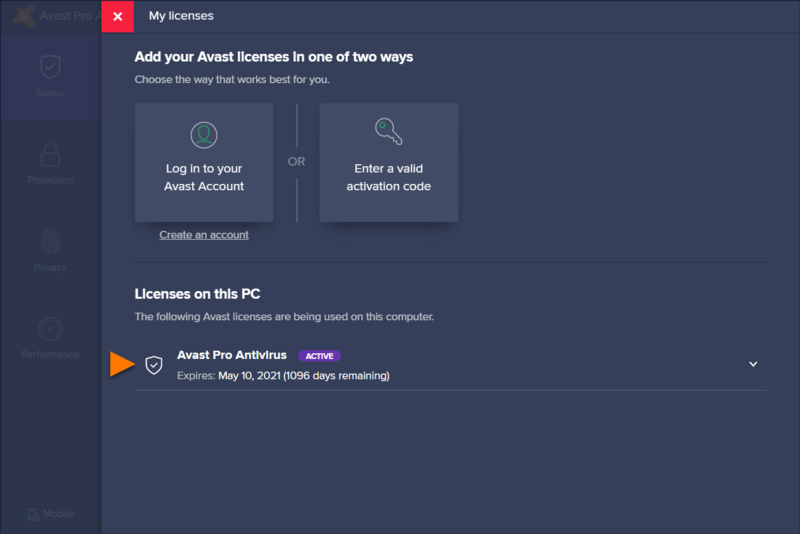 Your Avast Pro Antivirus license is now activated. 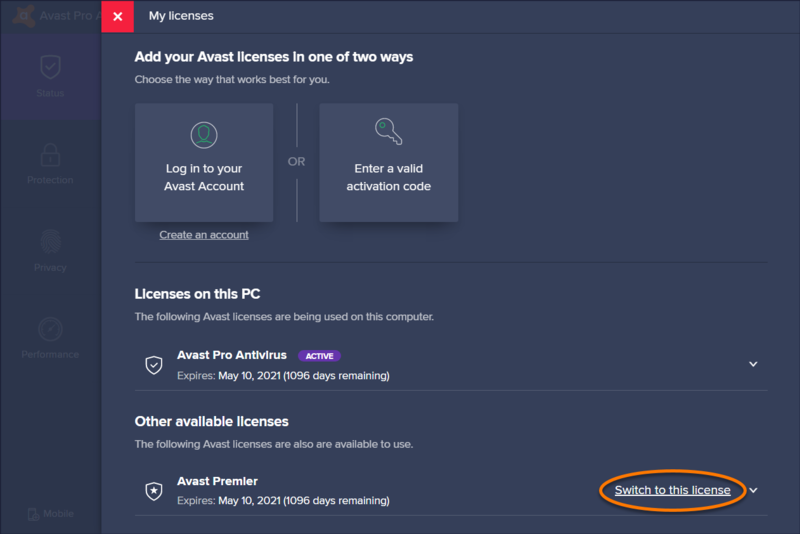 The expiration date of your license appears under Licenses on this PC.